Acceso de clientes Private Area: User: Password: ¿forgot your password? 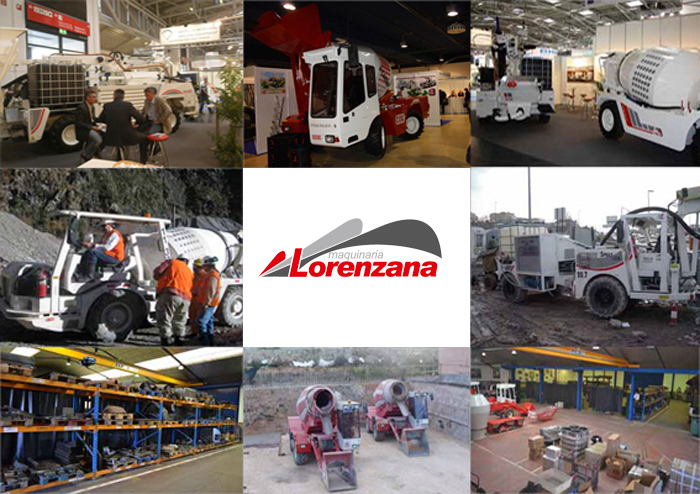 Maquinaria Lorenzana S.A. is one of the leaders of the Spanish industry of construction machinery. Thanks to its policies and their efficient work practices, we are among the top ten companies in the sector of construction machinery; Maquinaria Lorenzana S.A. is one of the European manufacturers of construction machinery with greater diversification and most complete variety of products. Maquinaria Lorenzana S.A. is present in the development and regulation of world-wide standards, and improves the sector with its capacity for innovation and its development of parts and components. Meanwhile, Maquinaria Lorenzana is proud of its sales network with a global dimension, being one of the largest Spanish exporters of construction machinery, tunnels and mining.